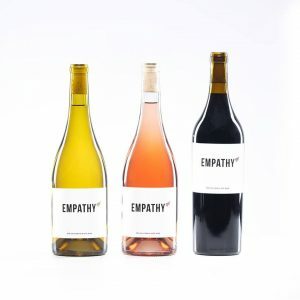 Empathy Wines is a new direct to consumer winery and wine subscription service co-founded by Gary Vaynerchuk, one of the earliest innovators in direct to consumer wine. Wine industry veterans Jon Troutman and Nate Scherotter join him as co-founders, and together they’ve successfully built and served huge communities of wine lovers (Cork’d, Daily Grape). We are a direct-to-consumer winery. What does that mean? We harvest the grapes, we make the wine, we send it directly to you. Unlike many other wine club offerings, we aren’t purchasing bulk juice and slapping our logo on the bottle. We also haven’t taken unwanted wines from a warehouse that aren’t selling, and throwing them into a cheapo “wine of the month” club. This wine is 100% made by us, made with Empathy. We’ve built relationships with top growers across Northern California in Lodi, Lake County, and Mendocino to find the best grapes for our rose, white, and red wine. Plus, shipping directly from the winery helps us ensure the quality of our product, while keeping the costs down for you. This No Middleman favorite begins shipping their wine in the spring of 2019, and given the leadership team, we’re optimistic that Empathy Wines will be truly innovative in the wine industry, delivering delicious wines at great prices, paired with a fun and smooth customer experience.